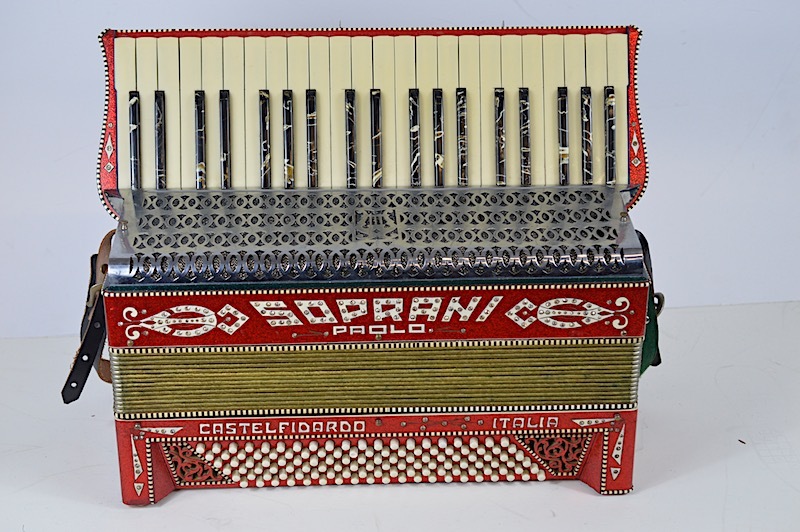 This accordion has been part refurbished and serviced In our on sight work shop. 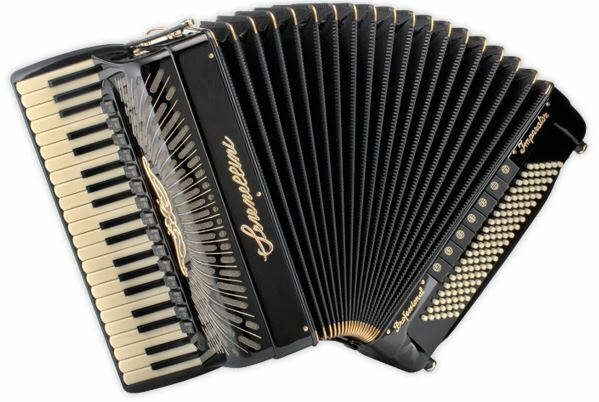 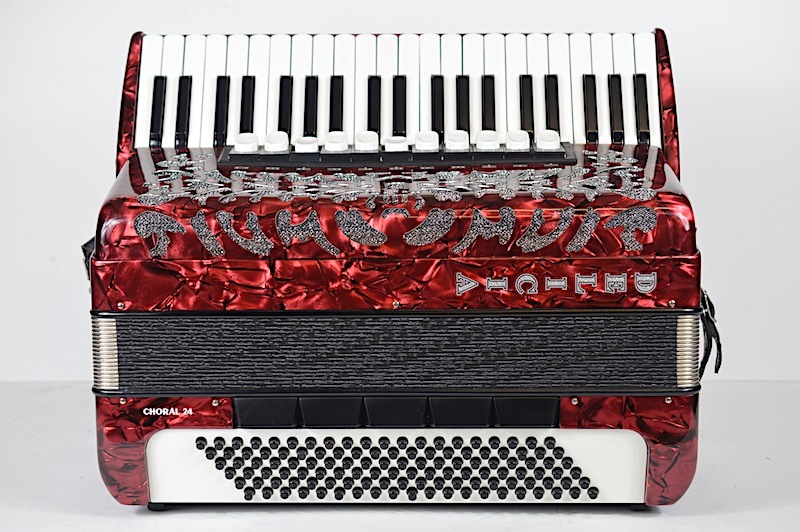 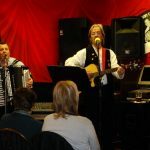 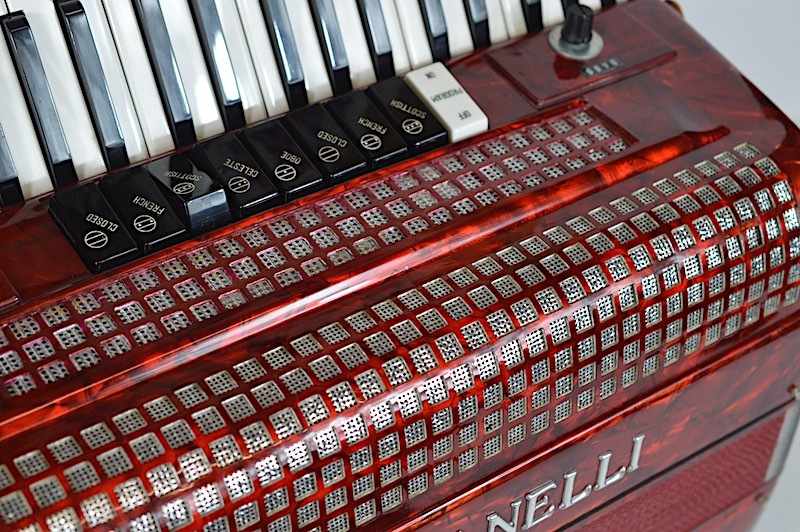 An electronic system is available although it is just as good as a conventional acoustic accordion. 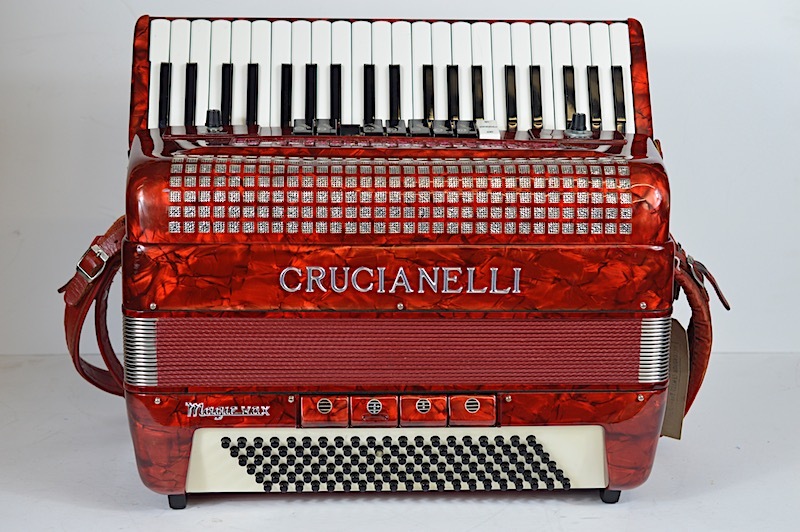 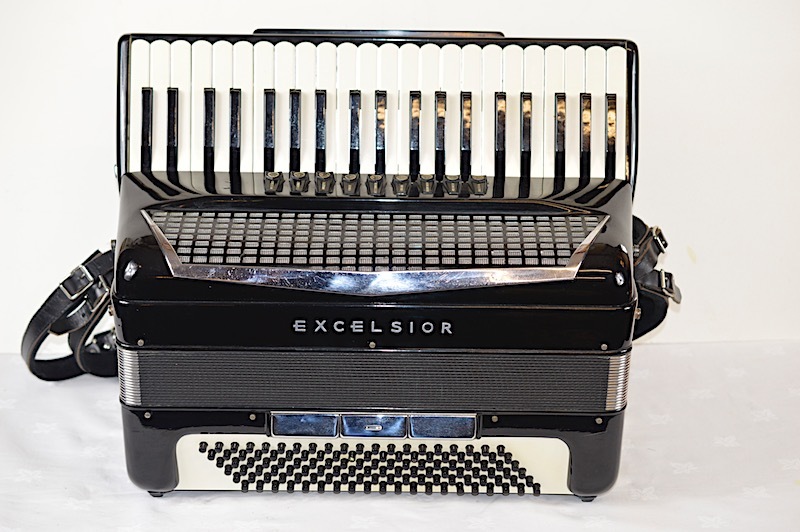 Like most accordions from this period they were constructed with very expensive reeds with an excellent musette for French and Scottish music. 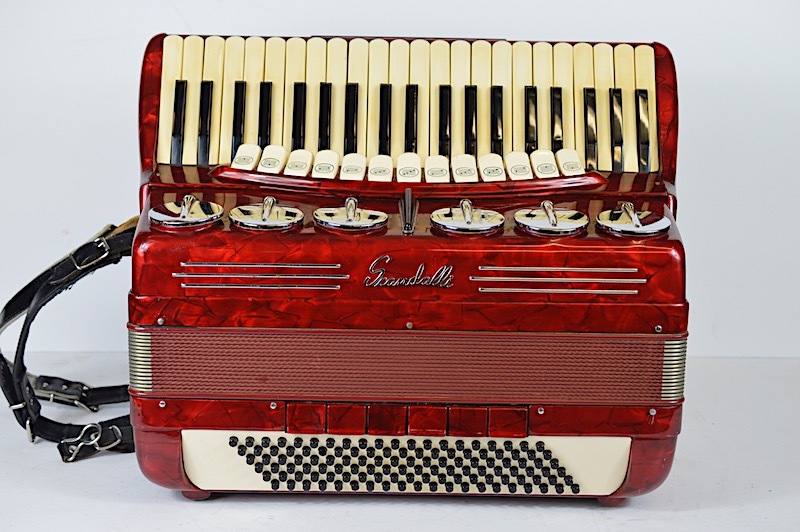 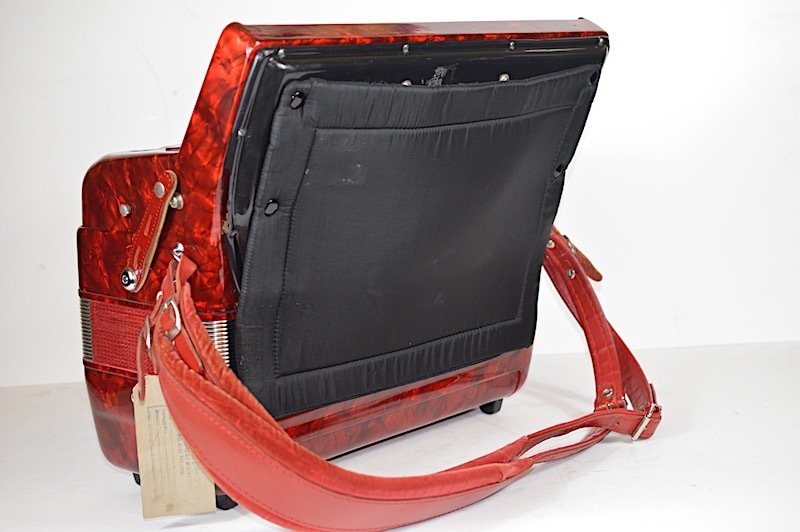 Silent registers allow this instrument to be played electronically and a power pack is available which has a control unit and is fully intact but we cannot guarantee this with the purchase and we can only offer this as an acoustic instrument. 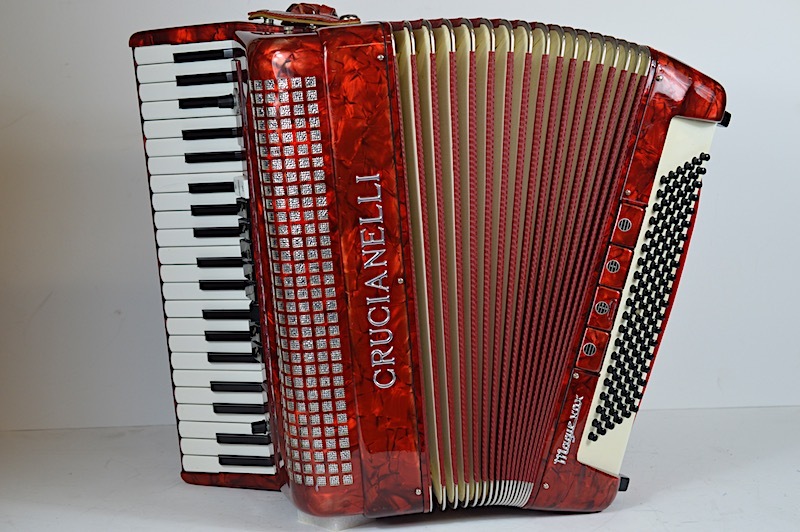 It does have the advantage for a midi conversion for an extra £800.